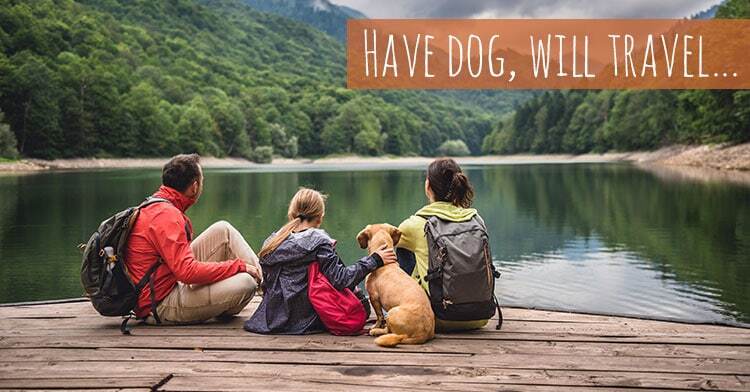 Have Dog, Will Travel: Whether its hiking trails in state parks, hitting the beach or visiting the World’s Largest Ball of Twine, there is nothing like a good vacation. 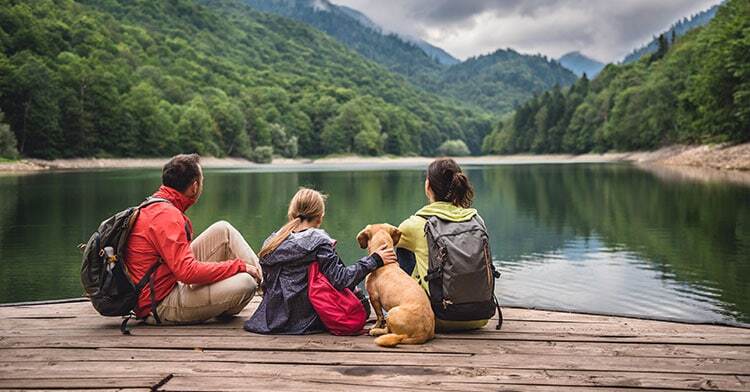 Taking in different scenery, indulging in new experiences, spending time with loved ones is good for all members of the family, dogs included. With a bit of planning, you can avoid a Griswold style catastrophe and make traveling with your furry family member an epic success. Know your dog and be realistic. If he believes it’s his job to bark and alert you of strange noises, people, or blowing leaves, staying in a hotel may not be the best choice. The privacy of renting a cabin is a much better, and less stressful option. Brush up on the obedience basics: sit, stay, no jumping or barking, walking politely on leash. Like it or not, we are ambassadors for all pet travelers. Good manners go a long way to ensure venues continue to welcome furry travelers. Make sure everyone you come into contact with, from hotel and wait staff to park rangers and other guests, have a positive experience with your canine companion. Before hitting the road, inspect all collars, harnesses, leashes, and seatbelts to make sure they are in good working order to keep your pet secure. Make sure your dog is wearing a current ID tag with your mobile number. Unfortunately dogs can’t pack for themselves, and if they did it would be a backpack full of tennis balls. Although you don’t need a suitcase full, do pack a few toys and a blanket for his crate. Bring plenty of food, treats and water from home. Switching suddenly from city to well water or even to different municipality water can cause digestive problems that no one wants to deal with. If you are hitting multiple destinations, you may want to use bottled water. Also be sure to be prepared for emergencies. 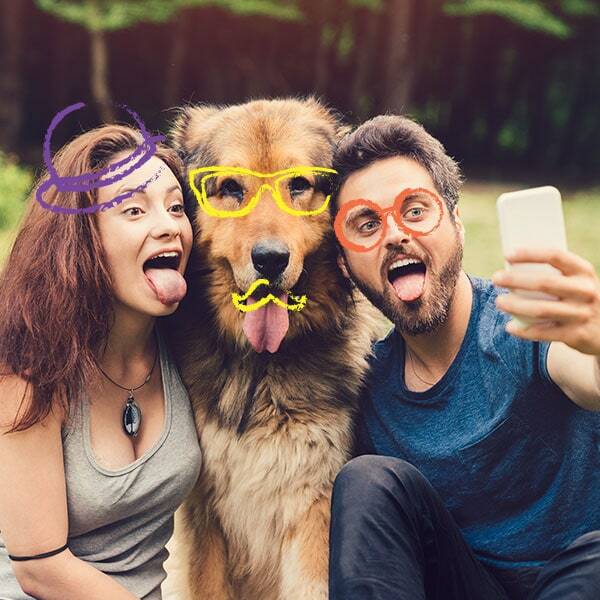 Pack an animal first aid kit, as well as current vet records, vet phone number, microchip information and have a current picture of your dog available. By doing a little research and preparation, you can ensure vacationing with your dog far is more enjoyable than any Griswold family trip. 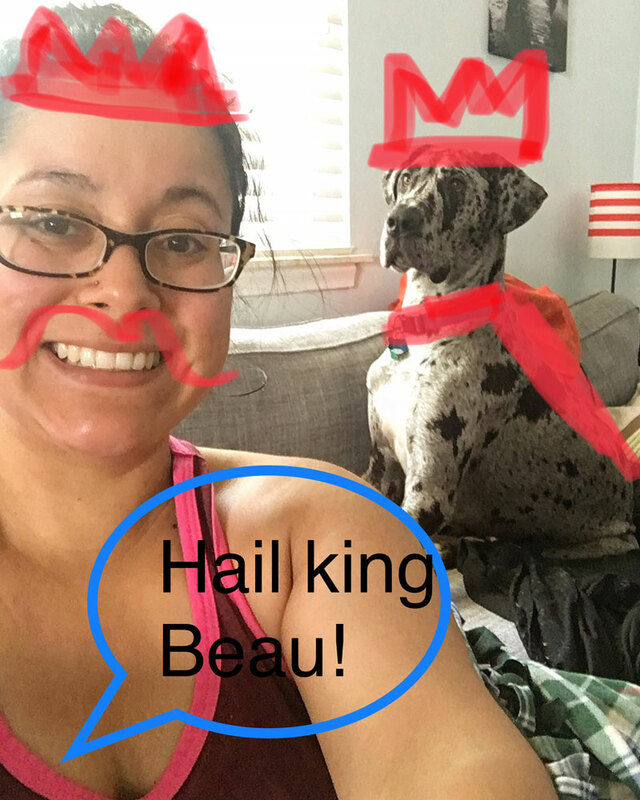 Canine behavior coach, behavior advisor, training counselor.